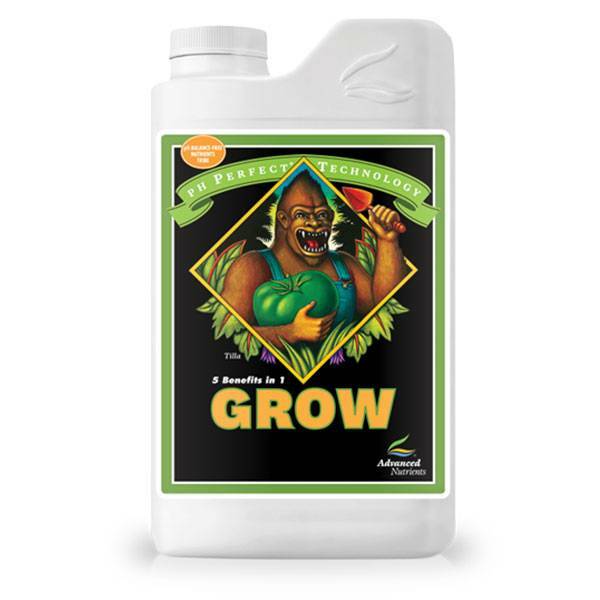 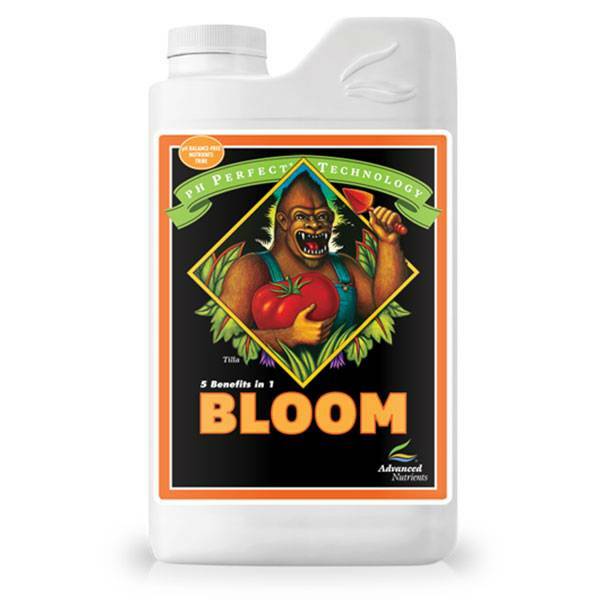 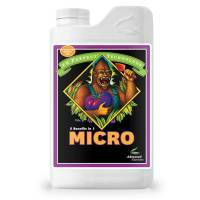 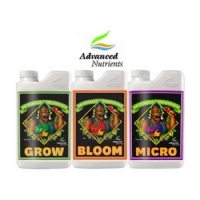 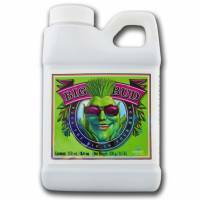 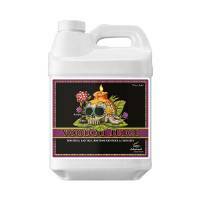 Fertilizer Kit of Advanced Nutrients pH Perfect Grow, Micro and Bloom (GMB) 1L, for feeding plants during all stages. 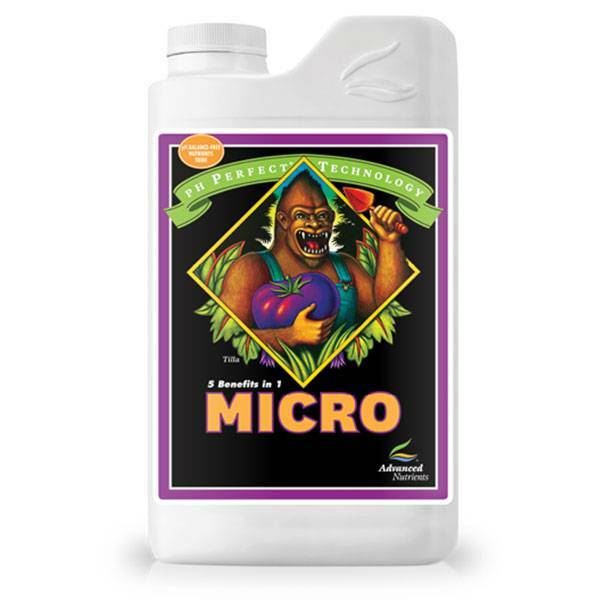 The new formula 5 in 1 "pH PERFECT" Grow, Micro and Bloom contains organic surfactants, humic acid and fulvic acids, amino acids and a unique technology that automatically corrects the pH of your nutrient solution. 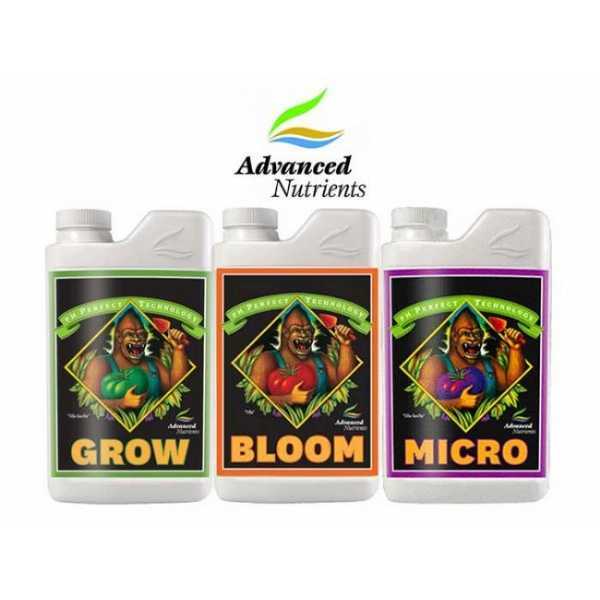 Fulvic acid that speeds up the absorption of nutrients, these two acids have to work in synergy with each other to get the best conditions to fasten the vegetative and flowering stage of plants. 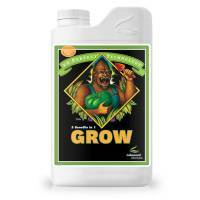 You will not worry any more to stabilize the pH of your solution, but rather buying the best fertilizers.